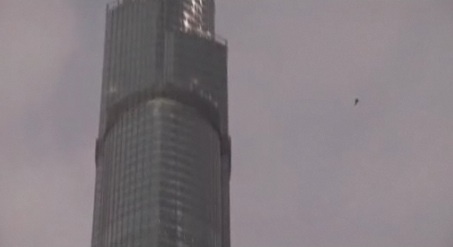 Oh, you wanted to be the first to base jump from the top of the new tallest building in the world? Too late. Nasir Al Niyadi and Omar Al Hegelan took the 2,700 foot plunge from the top of the Burj Khalifa. In doing so, they set a record for the world’s highest base jump from a building in what seems like a completely Burj-endorsed jump. Aren’t these things supposed to be more fun when they’re illegal? You can see the whole nail-biting decent at the Guardian.